Star Wars Jedi: Fallen Order is Respawn Entertainment's next big game. Recently, a new image was revealed showing off a broken hilt of a lightsaber. Now, a new image has been leaked on Amazon. 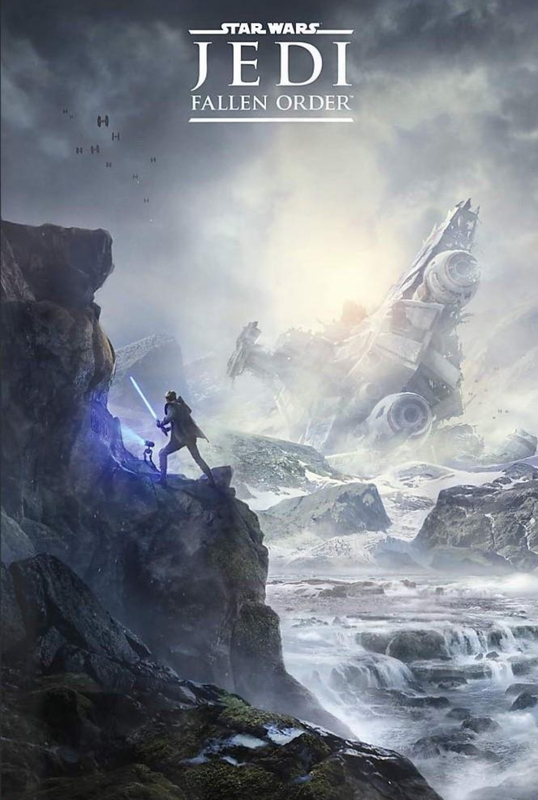 The image shows a Jedi, judging from the blue lightsaber, on a planet with a crashed ship on the background. Since this is called Star Wars Jedi: Fallen Order it's farfetched to assume this is the protagonist. Especially since TIE fighters can be seen in the environment.